This book is a little bit vague as to some of the background stories, such as her relationship with her friends. The main storyline also seemed to become forgotten half-way through the book and other events take the limelight. However, the most disappointing bit of the story is that we never find out what is in the letter, which is the whole point of the book. This book is good, but it is definitely not the best I’ve read. The plot is realistic and uses real events as a bit of a guideline to what happens. 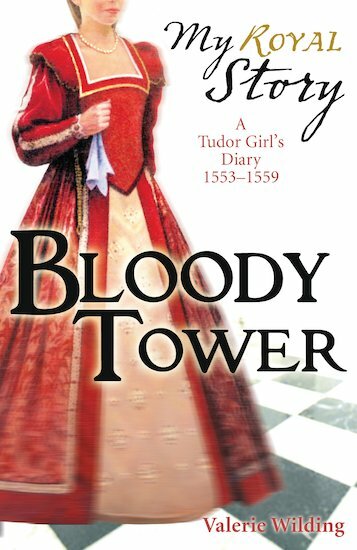 To be honest, Tilly had thousands of chances to deliver her letter but she kept missing them and it just seems to be a diary of feelings towards the happenings in sixteenth century London. The letter plot just seems to fill in missing gaps and gives a good end to the story and a reason to make the sequel, ‘To Kill A Queen’. I do think that this book had potential, but it has been lost, and even though I still believe it’s a good book despite the many, many issues. I’m sure that if it was rewritten it would be so much better. I love historical fictions like this book. I do love historical fiction, and this one was certainly interesting. I have to say, though – at some parts it was a bit gruesome! I really enjoy the my story books. They give you an insight into the past and help you see what life was really like. I really enjoyed this book because it helped me learn about the past, but in an interesting way. 2020fifty you have no taste! The My Story and the My Royal Storey books are amazing to read and are all true as a bonus! Eurgh, i had to read this for a history project. I picked it up and started to read it, i read to atleast page 45 but then gave up completly. I hated this, although it is stuffed with historical facts. I have just finished readin this but my friend has it and i read the best bit of it. when she finishs im having it so i will update then.